The past few days have been spent escaping most of the world and focusing on family time. We’ve made very few plans and politely asked people not to visit for a few days. Now don’t get me wrong I love having people round, I love seeing family, but once in a while it’s nice to do things that don’t require a timer or entertaining folk. We’ve still seen People, we’ve not been total hermits but it’s been on our terms. Every once in a while it’s important to set aside that time for just us. A day of just me and my little one is needed too. Too easily a few weeks pass before you realise you’ve spent little or no time having one on one time. A day of just doing very little is needed to help you recharge and enjoy the quiet. Walks have been this weekends theme. I mean we walk everywhere usually but we’ve made a point to go specific places the past few days. I got that overdue time just me and baby on Friday and really enjoyed the stillness of it all. We had a lazy morning of cuddles, cooking and naps (unfortunately only she got the naps) we then went a walk with a friend who stays nearby before coming home to await Scott coming home. We didn’t do anything overly exciting but it was nice to just take it easy and go with the flow. Saturday was spent enjoying the first nice day we have seen in a fortnight. After a rough night Scott went to work as we napped. 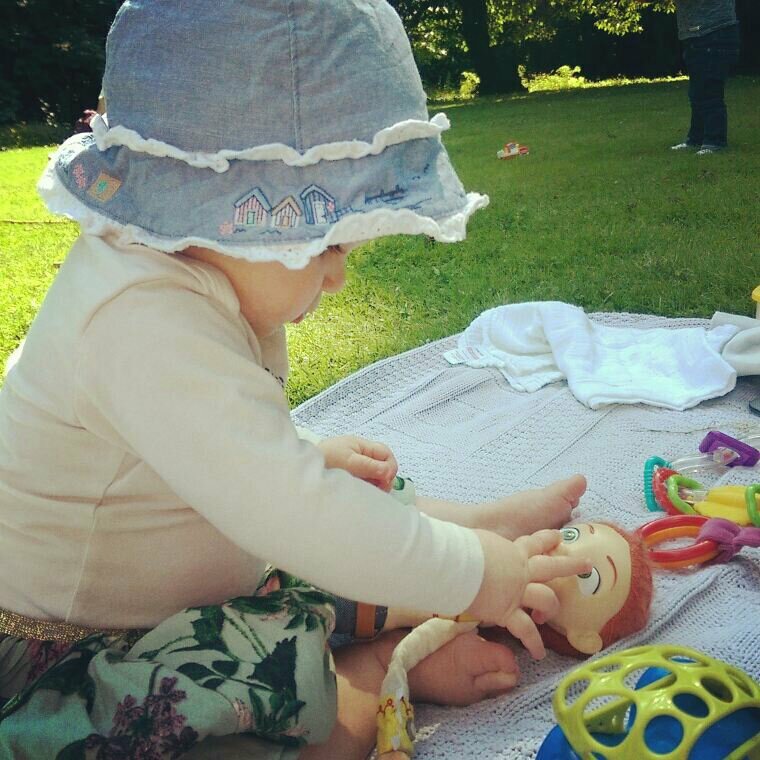 We took our time to get ready and met him after his shift to go to the holmwood house garden party held by mini manoeuvres it was a wonderful afternoon spent with wonderful company before heading home with gran and papa. We went a walk for dinner supplies then spent the night watching good old Netflix. Today was a little bit different. Scott and baby did their own thing before gran and papa came to babysit as I was out for the day. I had an all day event in Ayr. 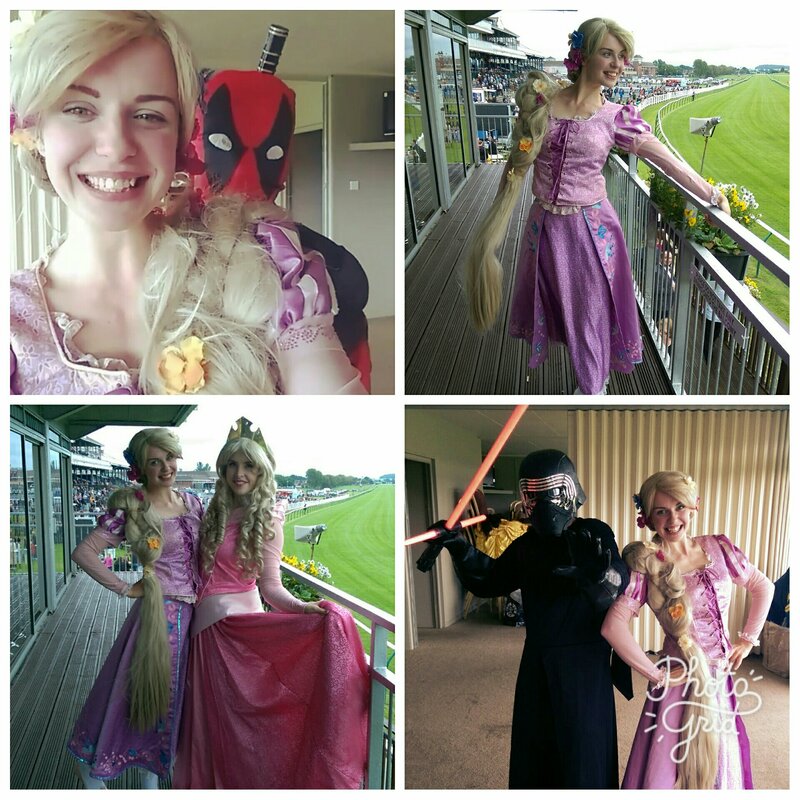 I spent the day catching up with friends and doing what I love (whilst getting excited about meeting other characters) it was a great event and as always great fun. It’s important to make time to unwind. As a family. With your little ones. With your partner. For yourself. We all need that time to just escape the usual chaos of life. A day where you’re not checking the clock, running round like a headless chicken and losing the minutes of the day without knowing exactly where they might be going. take time to do just that. Take it easy. Spend time lazing and enjoying the company of those you love. Go long walks. Visit new places. Read a book. Do nothing at all. Just take time for you, because you matter too. Take time for your family, because it won’t be long before they become teenagers and don’t want to have time alone with you. Make time for your partner, because they deserve it for all they do.